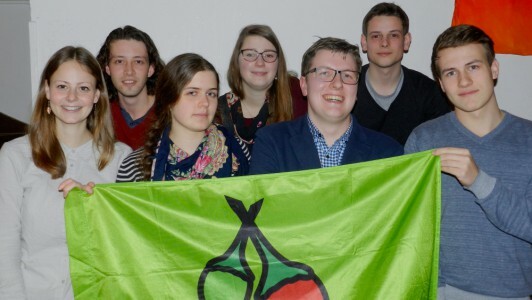 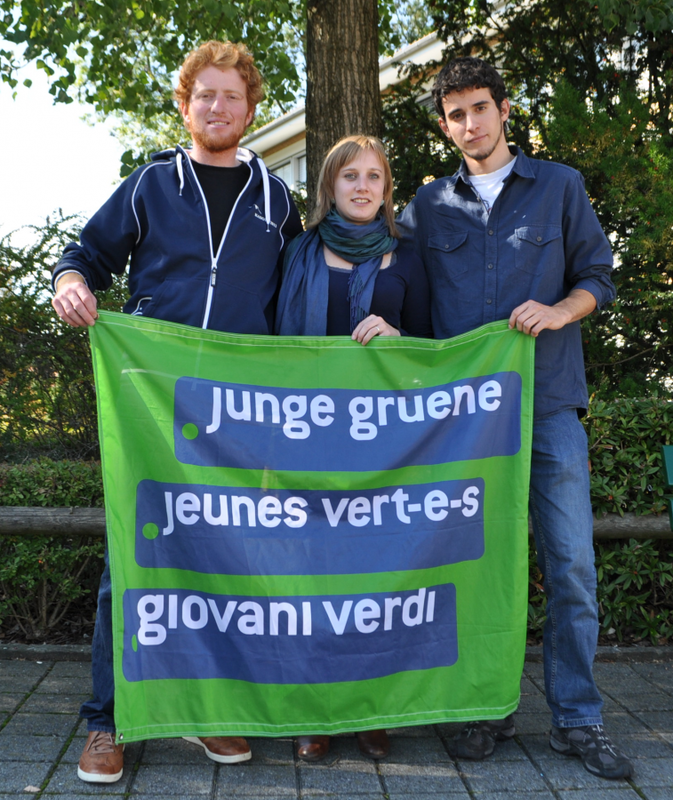 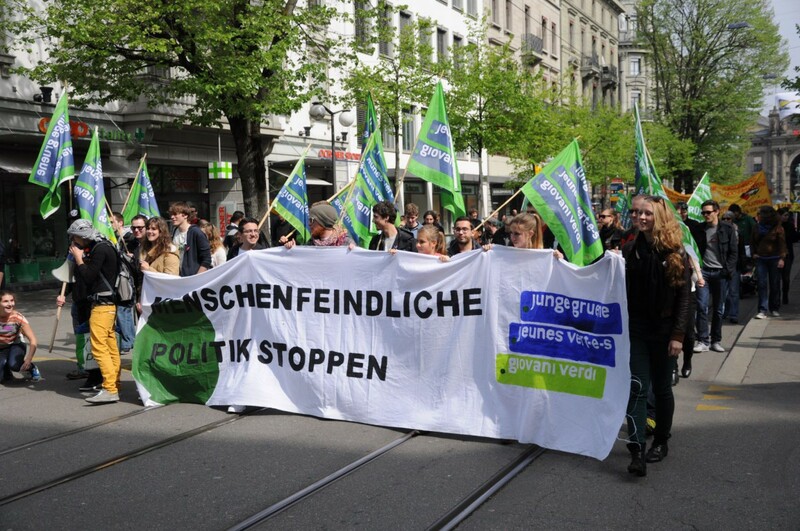 The youth branch of the GPS/PES are the Junge Grüne/ Jeunes Vert-e-s/ Giovani Verdi (= Young Greens). 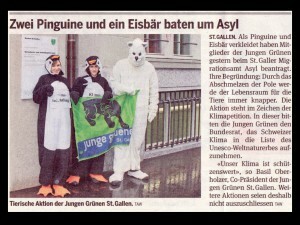 Some of the local branches have slightly differing names. 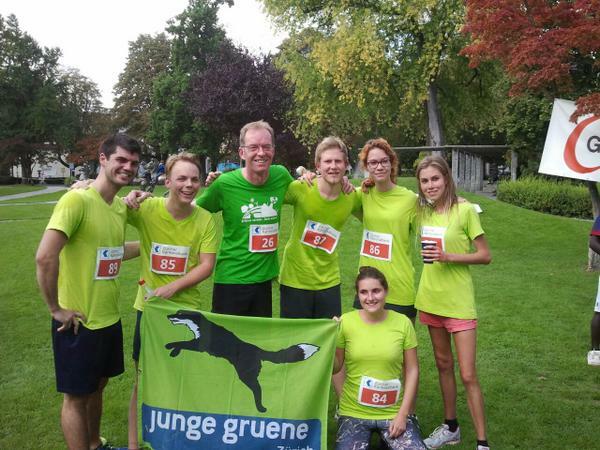 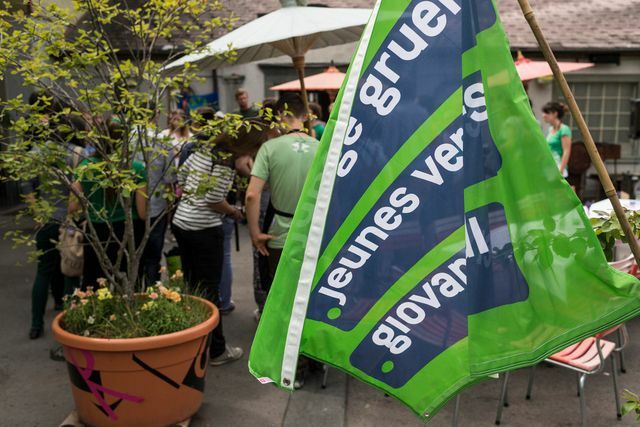 It seems to be a general feature of the local or cantonal branches of the Young Greens to have a specific animal as symbol. 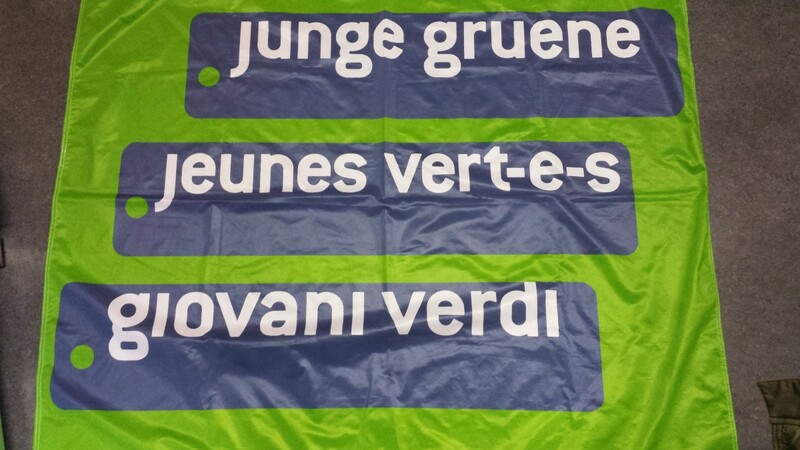 The general flag of the Young Greens is just the organization's name in the three languages in white on three blue bars, all on a green field [1,2,3,4,5,6,7,8,9,10,11,12,19]. 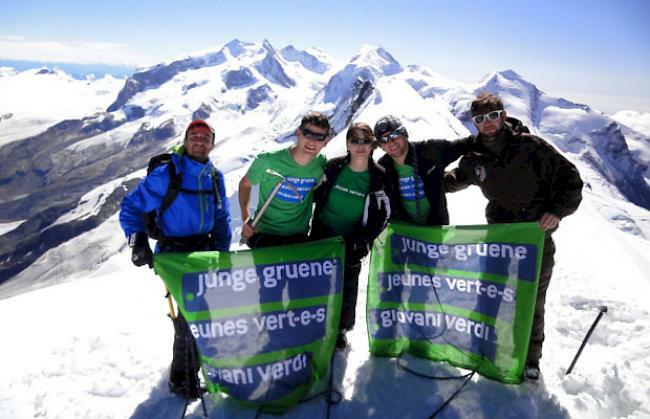 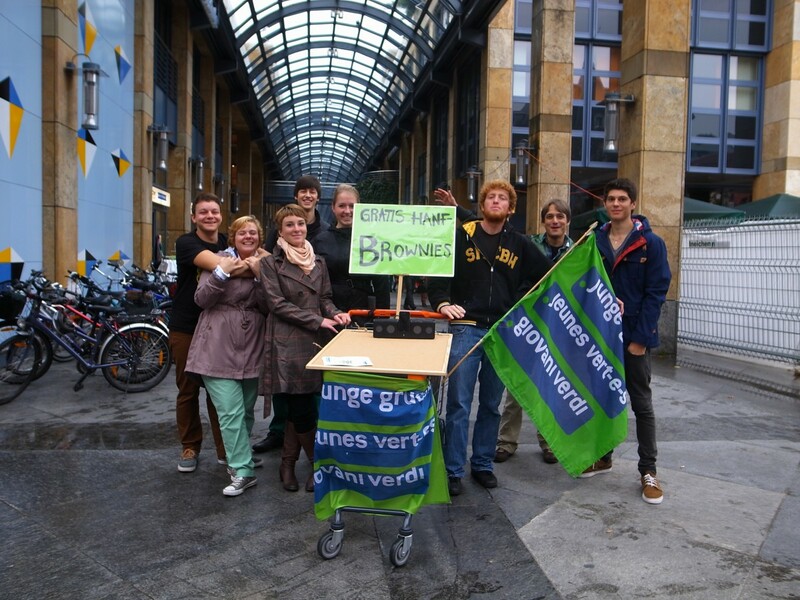 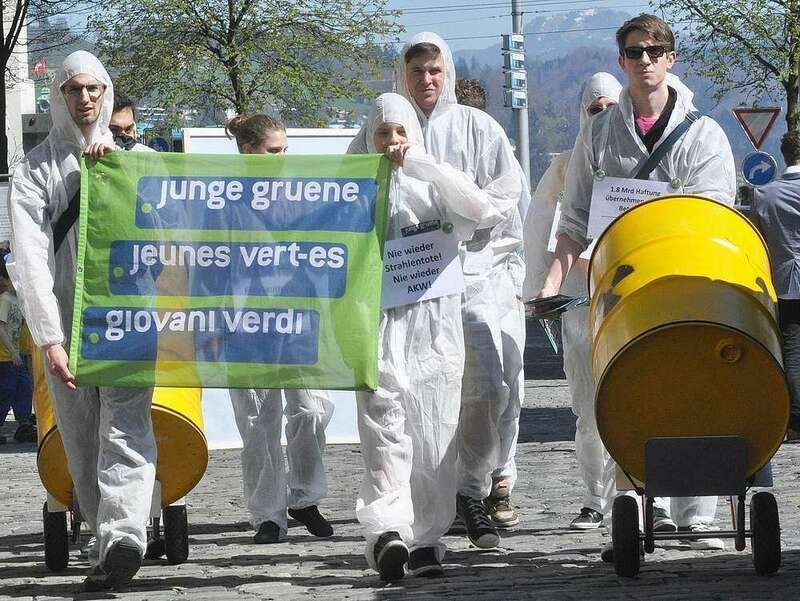 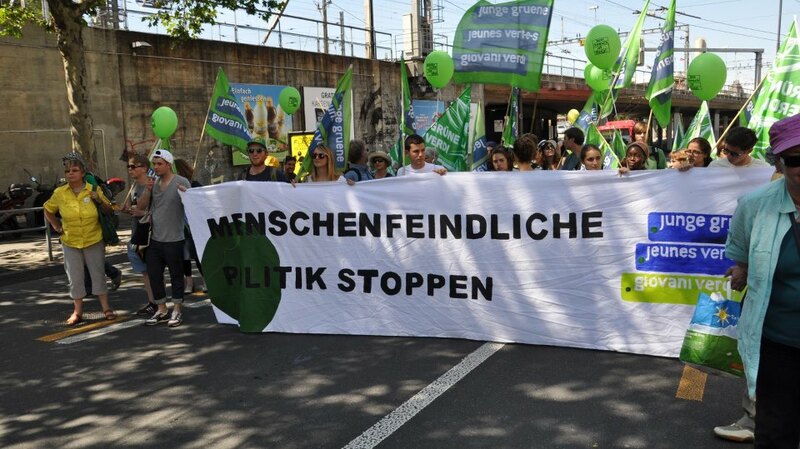 The regional branch in the Northwestern part of Switzerland (cantons Basel-Stadt and Basel-Land) is called "Junges Grünes Bündnis Nordwest" (Young Green Federation Northwest). 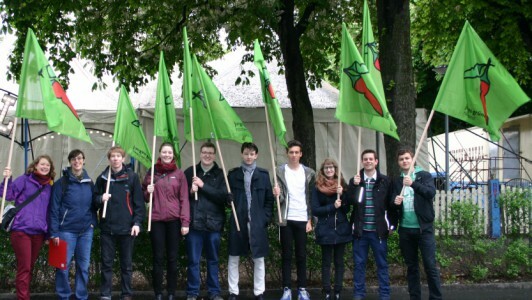 The flag is green with the organization symbol (a green and a red chili in saltire) in the center and the branch name in the lower fly [13,14,15]. 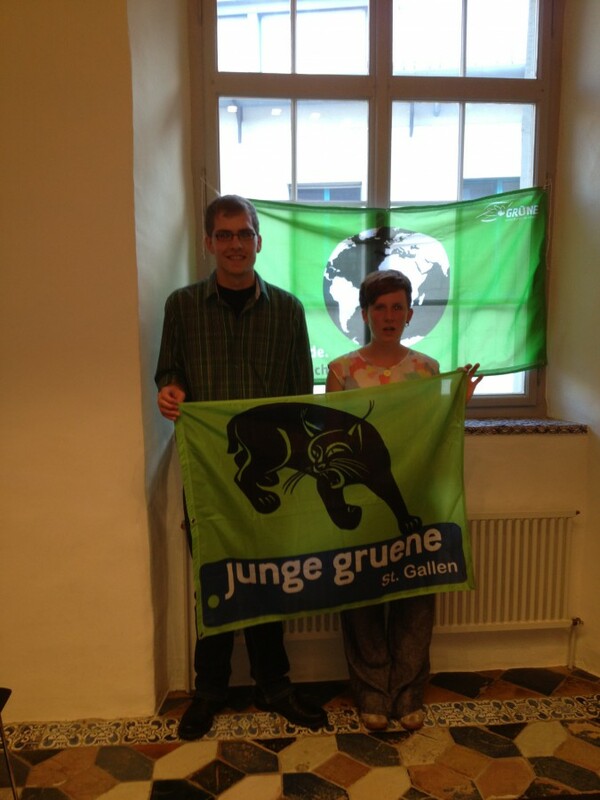 The St. Gallen cantonal branch uses a flag with a black lynx over a blue bar with the branch name in white [16,17,18,19]. 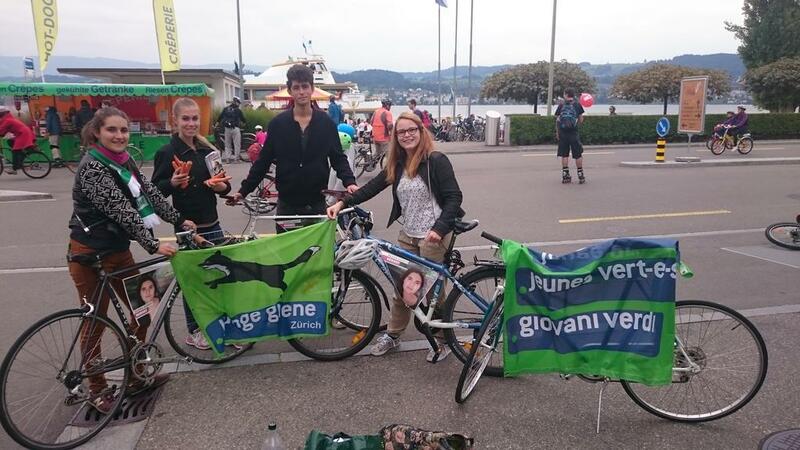 The Zürich cantonal branch uses a flag with a black-white fox over a blue bar with the branch name in white [19,20,21,22].